Villarreal, April 3: La Liga leaders FC Barcelona needed a pair of late goals to salvage a 4-4 draw with 17th-place Villarreal. 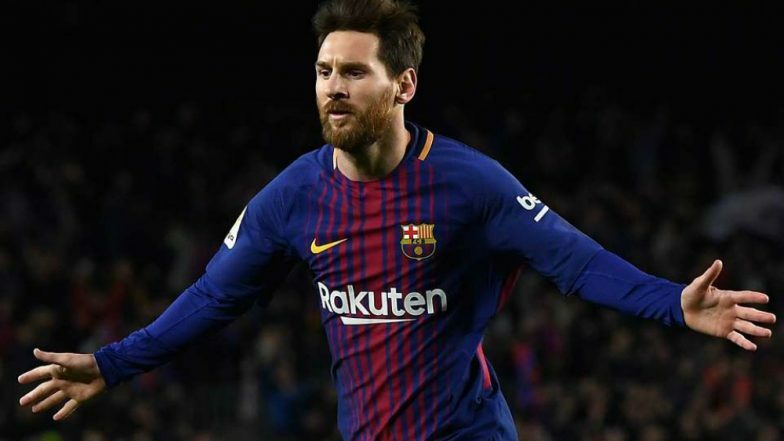 Starting the match with Lionel Messi and Ivan Rakitic on the bench on Tuesday night, the visitors jumped out to a 2-0 advantage inside the first 20 minutes at Villarreal's La Ceramica stadium, reports Efe news. Philippe Coutinho opened the scoring for Barça in the 12th minute with an assist from Malcom, who made it 2-0 for the leaders four minutes later on a header off a cross from Arturo Vidal. Samu Chukwueze pulled back a goal for Villarreal in the 23rd minute with an outstanding individual effort on the counter. La Liga 2019: Rayo Vallecano's Coach Miguel Angel Sanchez Munoz 'Michel' Sacked After Run of 7 Consecutive Defeats. The goal buoyed the hosts and though Barcelona remained the superior side, Villarreal were firmly in the contest and created opportunities. Luis Suarez had a chance to restore the two-goal lead for Barça in the dying seconds of the first half, but Villarreal goalkeeper Sergio Asenjo came up with a great stop. Five minutes after the re-start, Karl Toko Ekambi fooled Barcelona keeper Marc-Andre ter Stegen to bring Villarreal level at 2-2. Visiting coach Ernesto Valverde replaced Coutinho with Messi in the 61st minute in a bid to break the deadlock, only to see his side fall behind 3-2 seconds later when Vicente Iborra scored for Villarreal. Having squandered their early lead, Barcelona flew forward to lay siege to Asenjo's goal, leaving themselves vulnerable on the counter, as demonstrated by Chukwueze with an effort in the 69th minute that bounced off the cross-bar. And with 10 minutes left in regulation, Carlos Bacca increased the hosts' lead to 4-2 with help from a masterful pass by Santi Cazorla. But the outlook for Villarreal grew complicated in the 86th minute, when they went down to 10 men with Alvaro Gonzalez's expulsion following a second yellow card. Messi scored on a direct free kick in the 90th minute to narrow the gap and Suarez got the equalizer three minutes into stoppage time. The result leaves Barcelona with 70 points from 30 matches, eight points ahead of Atletico Madrid, the Catalan club's next opponent.